Anyone interested to see what the PS4 actually looks like should keep an eagle eye on E3 2013 in June as Sony Computer Entertainment's CEO says that's when it'll be shown off - if not sooner. 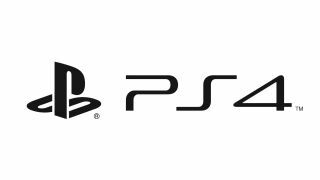 Confessing that he didn't think that the absence of a console would be "a big issue" at this week's big PlayStation 4 reveal, Jack Tretton told Forbes when to expect a visual. "I would look for E3 as a time when you'll get a good look at it," he told Forbes in a post-launch interview. Then added, "Or sooner." An E3 2013 reveal may be a strategic move - after all, Microsoft has already marked the show out as Xbox 720 territory. Moving on to the features that Sony did show off Tretton added that, like most features of the console, the cloud capabilities weren't yet set in stone. Asked what the console would be capable of out of the box, he said, "I think it's aspirational on the device, as opposed to us standing up there, pounding the floor and saying the day this thing ships all this stuff will be there. "I think it'll absolutely be there for the device, but I don't know whether it will be there for day one on the device. "I think a lot of these are things that we're gonna do over time. And with that said, I think there will be a tangible example of all the things that we showed. It's just a question of how deep it will go, how many games it will involve."